All applications are digitally signed! You will be guided through the complete installation by the setup application. 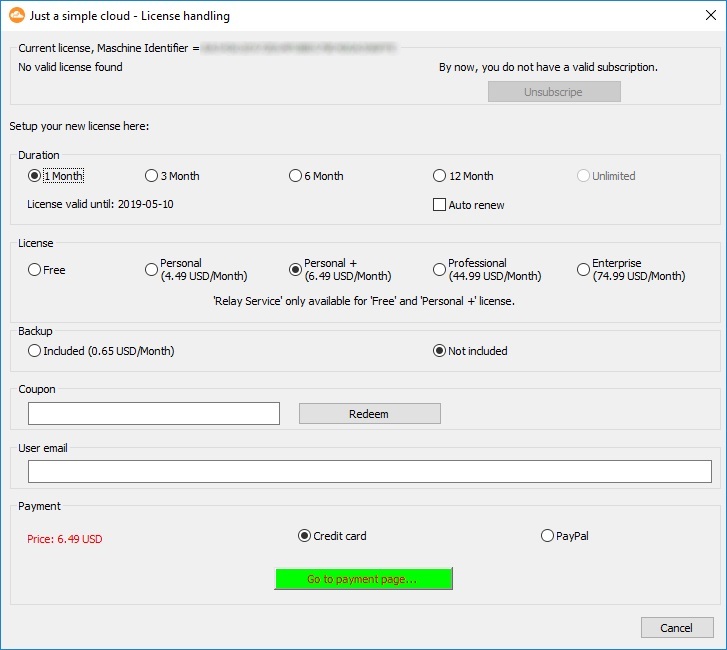 This is your dashboard to manage your license and install a Windows server or client. In order to install a server, you need to fill out all fields in the setup. The information is divided into 2 sections: General and project related. There is an explanation for each entry directly next to it, which helps you to find the correct information. The setup also helps you to configure your first project. 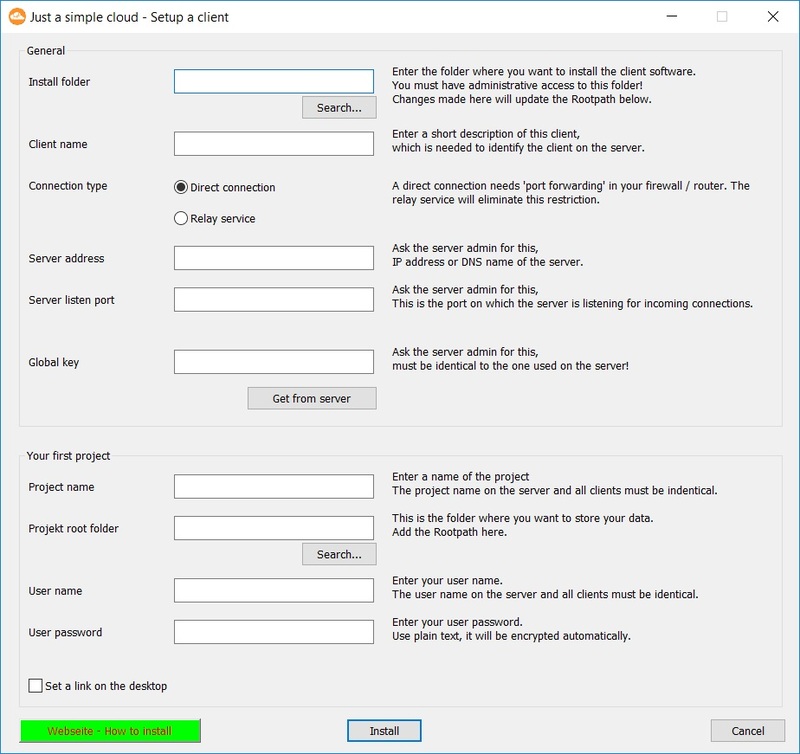 If you want to host additional projects, you need to copy the project section in the XML config file, increment the index of the project and restart the server. The server runs on all Windows editions starting with Windows 7. We recommend a server edition, in case you want to use more than 5 clients in parallel. 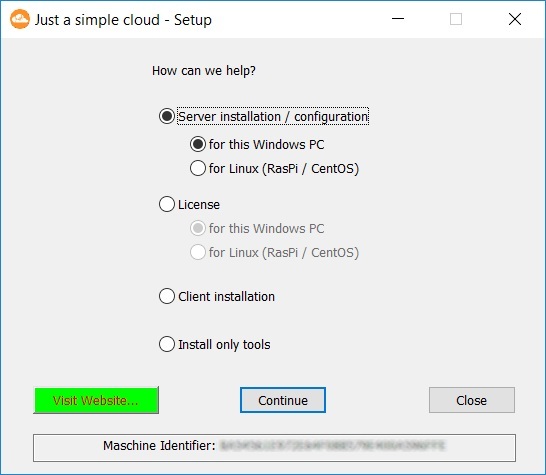 The installation of a client is similar to the server one. There are some settings, you need to know from the server installation. The administrator of the server will forward them to you. 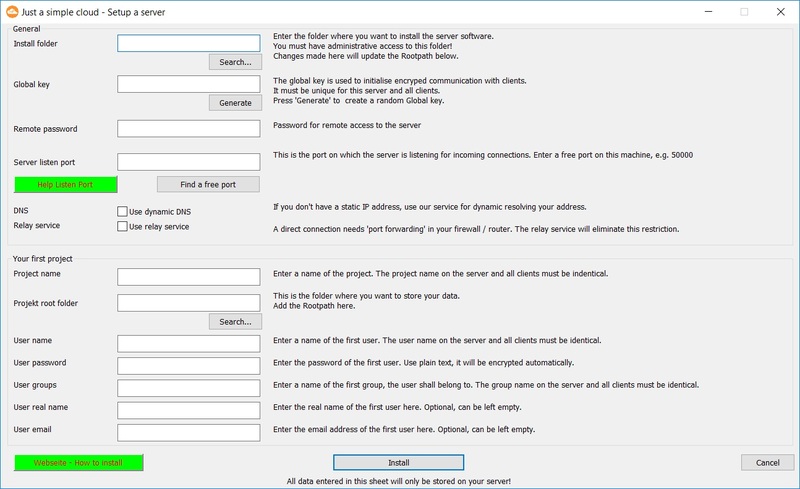 In case, the client is running on the same PC as the server, you can directly read out the GlobalKey from the server. The clients runs on all Windows editions starting with Windows 7. The Android clients needs to be installed from the Google Play Store. 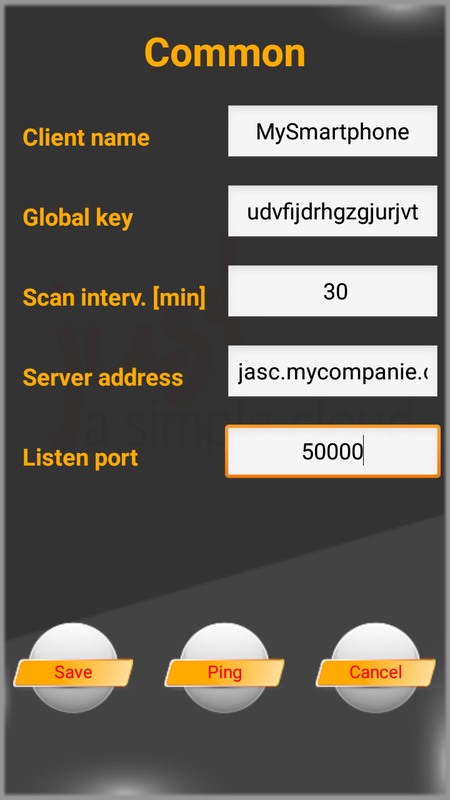 You will find the client here: https://play.google.com/store/apps/details?id=de.flache.JustASimpleCloud or search for “just a simple cloud”. The clients runs on all Android versions starting with 6.0. 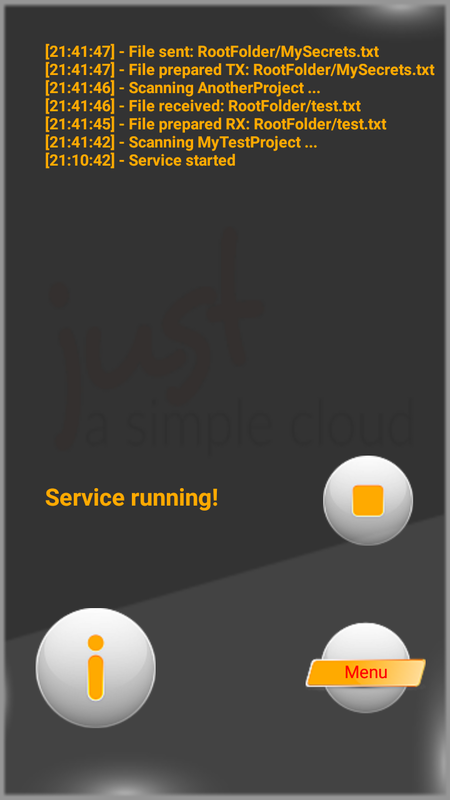 Just a simple cloud has multi project capability. This means, it can handle several projects independent from each other at the same time. Each project has its own section in the XML configuration file and can be located in different root folders giving separated users the possibility to share their data. User rights management is based on user groups. You need to create user groups, assign the users to the groups and set the access rights for each subfolder. In the server XML configuration file, you need to set the “ActivateUserPrivileges” switch to “true”. Define user groups and assign the users to the groups. In the root folder of your project, you need to create a file named “~RootRights.xml”. 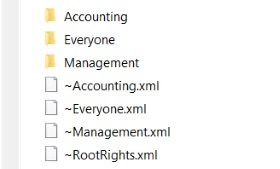 This file defines the access rights for each group of users in the root folder. During the next scan of the server, the server application will automatically copy these user rights to each folder (of course, not overwriting already existing ones). It will create a file, which has the same name as the folder with a tilde at the beginning of the filename. You can set diverent user rights for each folder.